Carton Live Storage's orderly picking system means you save on labour. Pickers work in the front aisle while replenishers work in the back. Absolute Storage carton live storage systems have been specifically developed to use gravity to increase stock picking speeds. 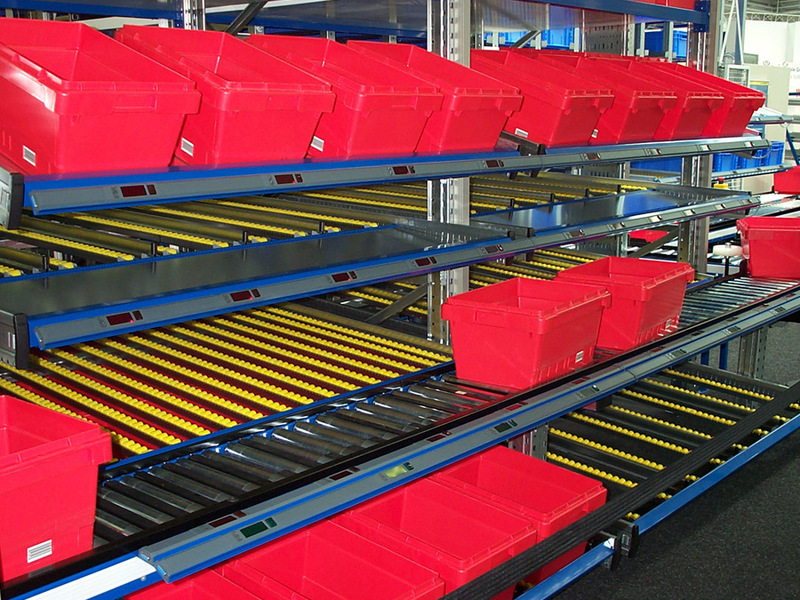 A high density gravity powered storage system for small to medium sized carton or binned stock. The stock is loaded into pre-determined lanes at the rear & gravitate to the front pick zone via roller tracks positioned to support the load. Excellent for split case picking & stock with use by dates or requiring serial number tracking. Ideal for slow to medium moving stock lines. 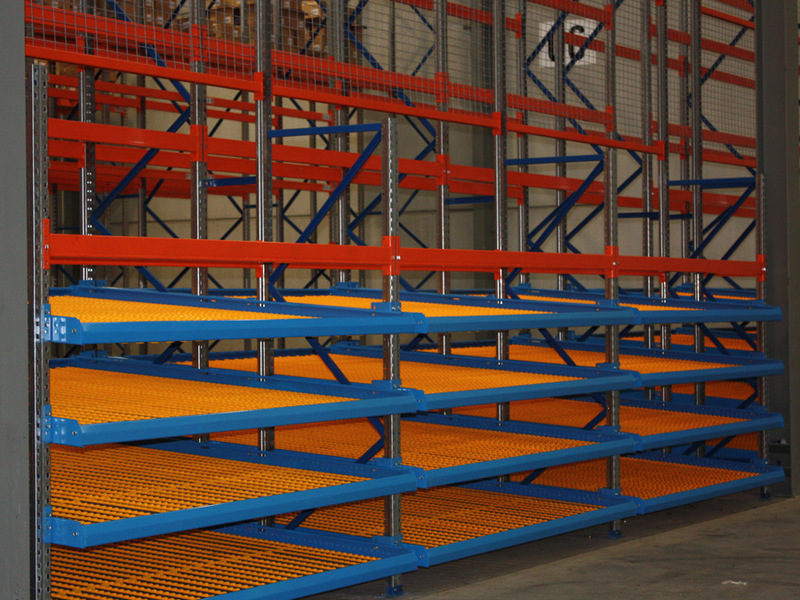 Can be built as a free standing unit or incorporated into selective pallet racking, longspan shelving or raised storage areas. Lane guides, angled presentation tray fronts & conveyors are available. 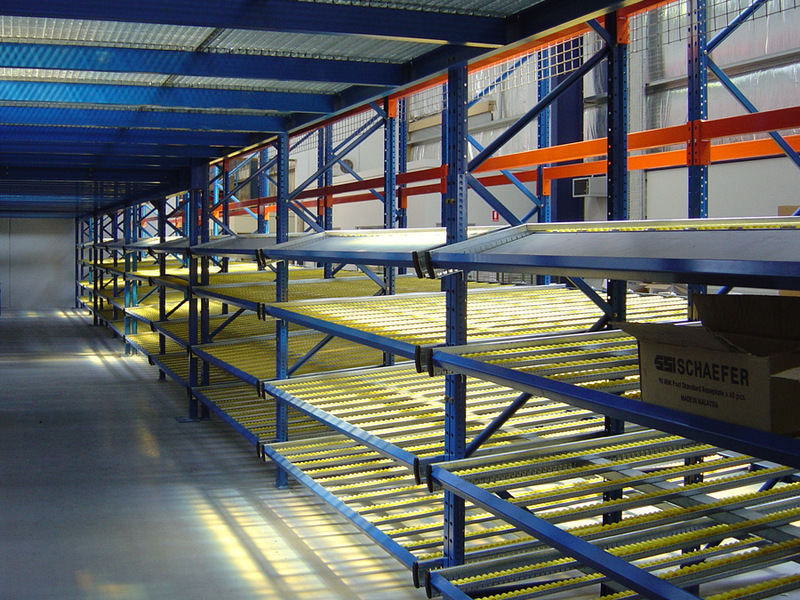 Carton live storage operates on the FIFO(first in first out) principle. Want to discuss Carton Live Storage?